Great shopping. Good restaurants & bars in the area. Friendly service. 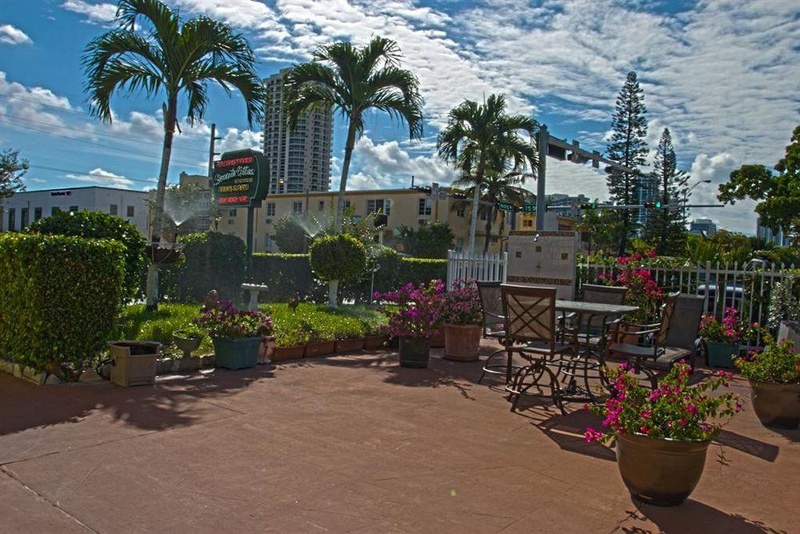 This hotel is within the vicinity of Bal Harbour Shops and Mount Sinai Medical Center. With a stay at Sorrento Villas in Miami Beach (North Beach), you'll be minutes from North Shore Open Space Park and close to Surfside Beach. Make yourself at home in one of the 21 air-conditioned rooms featuring refrigerators and microwaves. Wired and wireless Internet access is complimentary, and flat-screen televisions with cable programming provide entertainment. Bathrooms have showers and hair dryers. Conveniences include coffee/tea makers, housekeeping is provided daily, and cribs/infant beds (surcharge) can be requested. The front desk is staffed during limited hours. Free self parking is available onsite. Supermarkets close by. South Beach right across the street. Free bus. Good city hotel. Fantastic service. Great location. Beautiful beach. Quick walk to the beach. South Beach right across the street. Close to beach. Welcoming staff. Free shuttle bus. Free trolley. Complimentary beach towels. Free bus. Free shuttle bus. Huge villas. Complimentary beach towels. Full size refrigerator.